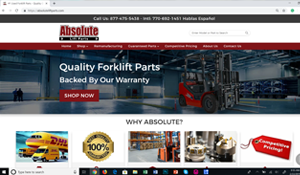 Absolute Lift Parts is a leading provider of used OEM forklift parts and remanufactured OEM forklift parts. They needed a trusted partner to develop a custom e-commerce platform theme unique for their business identity that would also deliver a great user experience for their customers. The standard templates offered on most platforms did not fit their needs for functionality, usability or branding. We custom designed and developed a theme to suit their needs. 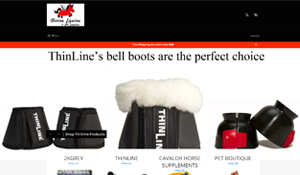 ShopDivineEquine.Com is a niche online Equestrian store serving riders and horse owners with everything from riding clothes, riding gear and accessories to horse supplements that keep their ride healthy and in competition shape. They needed a great selling eCommerce site to communicate the brands they offer and convert product sales at a high percentage. Southern Clothing is a homegrown apparel company featuring distinctly southern styled clothing brands. Durable, stylish and distinctly Southern, their homegrown brands truly represent the southern lifestyle. 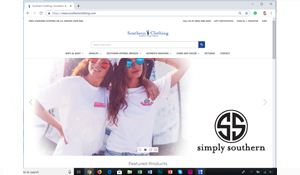 Southern Clothing needed a trusted partner to overhaul their BigCommerce theme with a new stencil theme and develop some customizations to help improve the site user experience. We designed and developed the customizations and then installed the new theme on their e-commerce platform. To top it off we did all this in record time. Their regular developers were booked up, and they were very tight on time for merchandising their new seasonal specials. We were happy to help them and doubled up our resources to complete the work before their advertising deadlines, and sales opportunities expired. We can achieve these same results for your business! Are you ready? Smith Equipment & Repair was a young company that needed some help reaching their local audience with their great products and services. They were doing some light social media with a very limited reach. They were lacking the most critical tool to help them sell and educate prospects 24/7 without them being there. 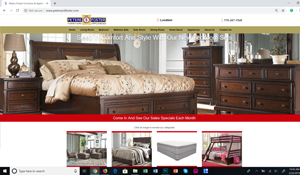 They needed a compelling sales website that would "pay off" any Ad with the "why by" emotional benefits and get people to walk in their store or call them for more information. The results were a resounding success. They doubled their sales over the prior Spring season and tripled their sales lead calls during the same typical period. They were recognized by the manufacturer as the spotlight dealer of the month for the month of May 2017 and grew into the most profitable wholesale tier with the manufacturer. For more than 60 years, Peters and Foster have been a one-stop shop for beautiful furniture and appliances our customers can trust for high-quality and durability. They specialize in providing high-quality furniture and appliance solutions for residents in their region. They had an outdated website that was not mobile friendly or reaching their audience. The old site was not Google local search friendly which is imperative in today's advertising environment. They also observed that older traditional advertising methods were not delivering store traffic as in years past and needed to do something to catch up with the digital times. 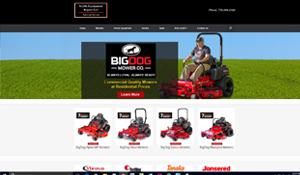 We offered an SEO friendly custom designed company website designed to attract and send new customers to their store. They had an outdated website that was not mobile friendly or serving to communicate the value proposition they offer. The old site was not working to reach the core audience through search channels as good as it should have. We custom designed and developed a new company website with high value messaging and search engine friendly pages to attract and send new contacts to their services. 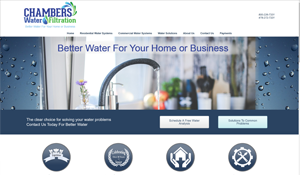 Chambers Water Filtration needed a selling website with a high-value proposition to drive new customer lead generation and a pre-sales tool. With a strong pre-selling program that works as a 24/7 sales rep, they can now focus on closing new sales from leads and service new maintenance programs. Ascent optimized the site for SEO so the search engines will deliver targeted traffic from new prospects researching solutions for their water problems. The website will help Chambers Water Filtration to be there to serve them. 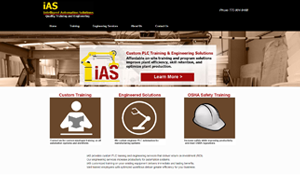 Intelligent Automation Solutions (iAS) provides custom PLC training, automation engineering services for manufacturers. They needed a custom website that pre-sells their services and capability to customers who are researching for solutions. The initial offering was to sell training services and this is expanding into manufacturing automation equipment and process design in the very near future. 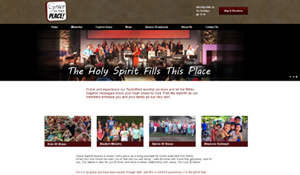 Grace Baptist Church needed to update their old website and replace the outdated design with one that could serve all their needs well with any device, including mobile devices. 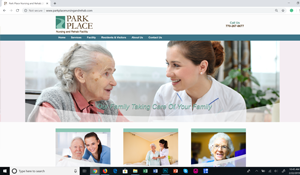 They wanted a website that was emotionally compelling so prospective visitors would feel the genuine warmth and want to visit the Church after seeing it. In addition, the site needed to serve the congregation as a great communication tool. The site was well received on all counts! 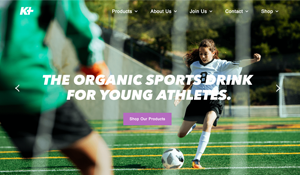 K+ Organics is a startup sports beverage company that needed a high-end branded company site. Ascent Digital custom developed their website to encompass high design standards with tight pixel matching to the design specifications. Ascent performed search engine optimization (SEO) and as a result, over 50% of visitors are coming from organic search engines. SEO optimization pays off month-over-month and builds new traffic over time. Organic traffic is more targeted, visitors are more engaged and have higher purchase conversion rates than other traffic channels. Ascent Digital provides cutting-edge e-commerce, custom application development and digital marketing solutions that help propel your sales and business to the next level.